These New 3DS bundles sure are pretty! 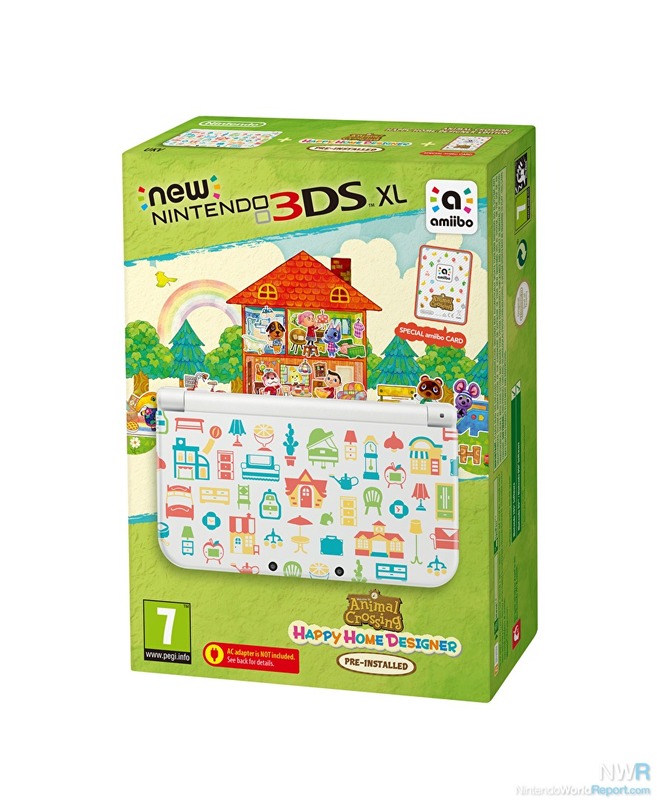 Nintendo fans in the UK, Australia, and New Zealand will get the chance to design homes for their favorite Animal Crossing characters on a brand-new Animal Crossing: Happy Home Designer edition New 3DS XL or a white New 3DS system with an exclusive set of Animal Crossing cover plates. Both bundles come with a digital copy of the game and a special Animal Crossing Amiibo card. A physical copy of the game will be available with or without the 3DS NFC Reader/Writer accessory. A limited number of physical copies will include a special Amiibo card. The game and New 3DS XL bundle will be available on October 2nd in the UK and on October 3rd in Australia and New Zealand. The white New 3DS bundle will also be available in the UK on October 2nd and be available later in Q4 2015 for Australia and New Zealand. The game will launch alongside new 3DS faceplates featuring Animal Crossing characters. The UK will receive plates featuring K. K. Slider, Isabelle, and a design featuring a variety of Animal Crossing characters. Australia and New Zealand will receive the K. K. Slider plate and the variety design plate. Nintendo will release its first line of Amiibo cards alongside Animal Crossing: Happy Home Designer. These cards will be available in a three pack featuring one special Amiibo card and two regular Amiibo cards. Special Amiibo cards will allow players to design houses for characters not available through normal gameplay. The NFC Reader/Writer will also be available as a standalone accessory to add Amiibo support to 3DS, 3DS XL, and 2DS systems for all compatible games. New 3DS and New 3DS XL systems have this feature built in. The New 3DS coverplates look great.